The season of giving has already started at the Malvern Panalytical US offices. 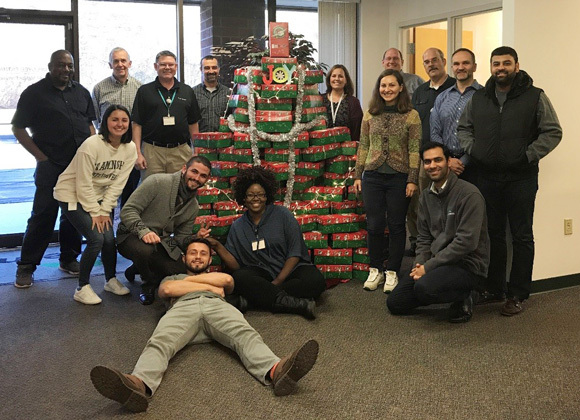 On Friday, November 10th, the Westborough, Massachusetts office participated in the Operation Christmas Child shoebox fundraiser by hosting a packing party to benefit children in need this holiday season. 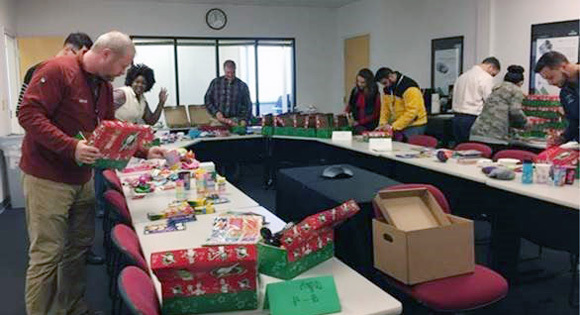 Operation Christmas Child asks individuals to pack a shoebox full of small gifts for children, ranging in ages from 2 to 14, for less than $15. These boxes are collected during the third week of November and then mailed to children in more than 100 countries worldwide in hopes of bringing a smile to their faces for Christmas. 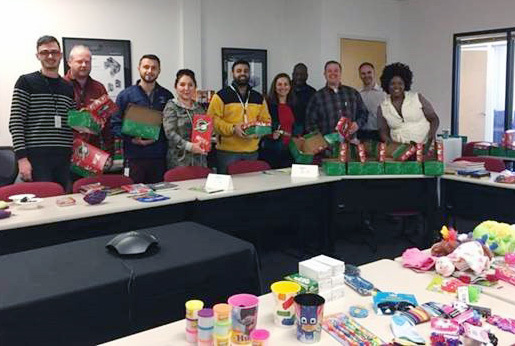 Malvern Panalytical has participated in Operation Christmas Child for the past few years, each year striving to donate more gift boxes than the prior year. 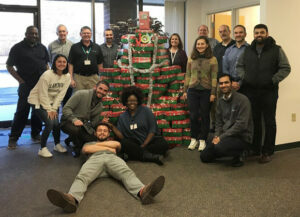 Thanks to the planning and enthusiasm of Nejea Davis, 39 boxes were packed during the Friday packing party, bringing the total number of shoeboxes donated from Malvern Panalytical employees to 69, topping last year’s donation of 44 shoeboxes. 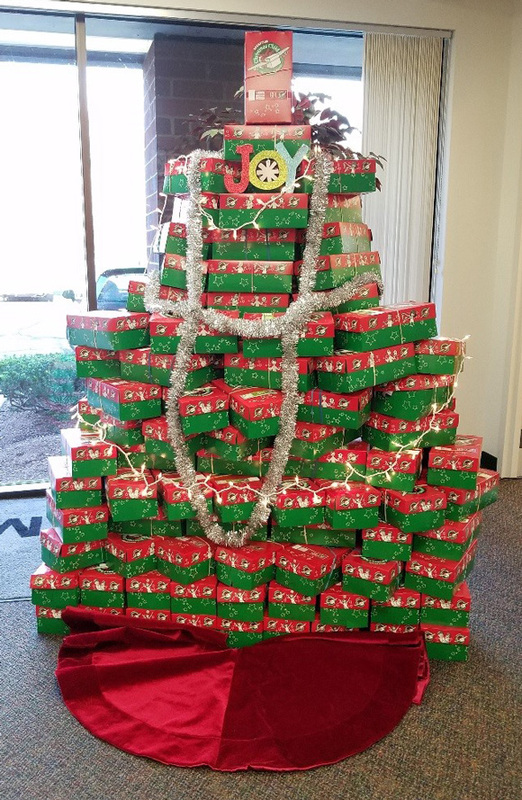 After volunteering to pack “Operation Christmas Child” shoeboxes in 2013, I just simply liked the idea of making kids somewhere in the world happy without too much effort. The testimonial from kids around the world (some of whom have now grown into adults) on how receiving a shoebox had positively impacted their life is effectively why I enjoyed doing this. Furthermore, from a personal perspective, I could relate to kids having nothing especially after living through “war experience” in Liberia. In 2015, I brought awareness to this charity initiative to Malvern (now Malvern Panalytical) not for personal recognition. I was pleased to learn that this was also being done at the UK headquarters. 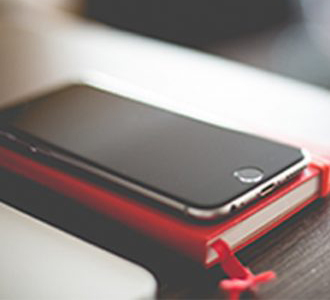 I am grateful for the generosity, participation, and team spirit we have enjoyed during this time of the year. As employees, together we have made lots of kids smile but moreover, made a lasting positive impression on these kids with just a small position of our personal funds. Thank you for embracing this idea. Looking forward to next year already!